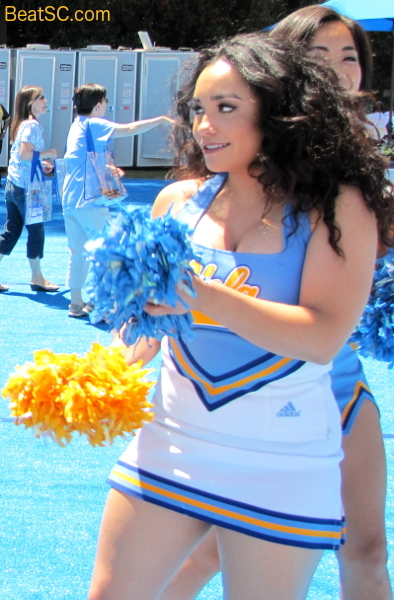 Before last year’s auditions happened, I would have practically guaranteed today that the vast majority of the UCLA Spirit Squad who were not Seniors will be back next year. 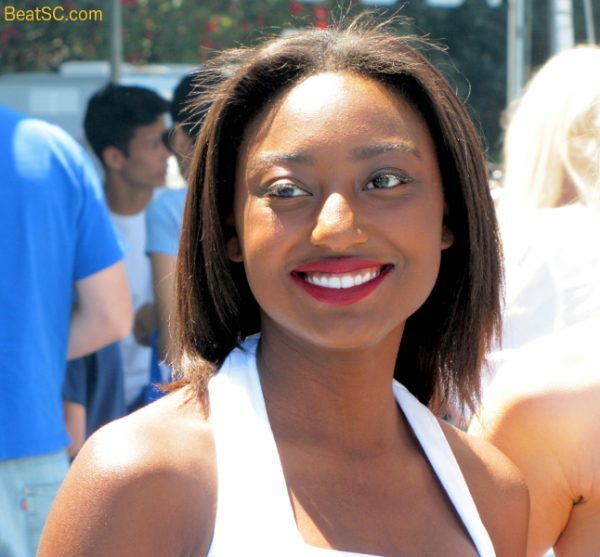 But last year proved that there are no guarantees in life, and that inclusion on the Country’s ELITE Cheerleading unit is strictly merit-based. Nothing is automatic, and the selection committee will not play favorites. So no matter who your personal favorites are on this year’s squad, you may never see them again adorned in the iconic blue and gold uniforms that make them seem larger-than-life. 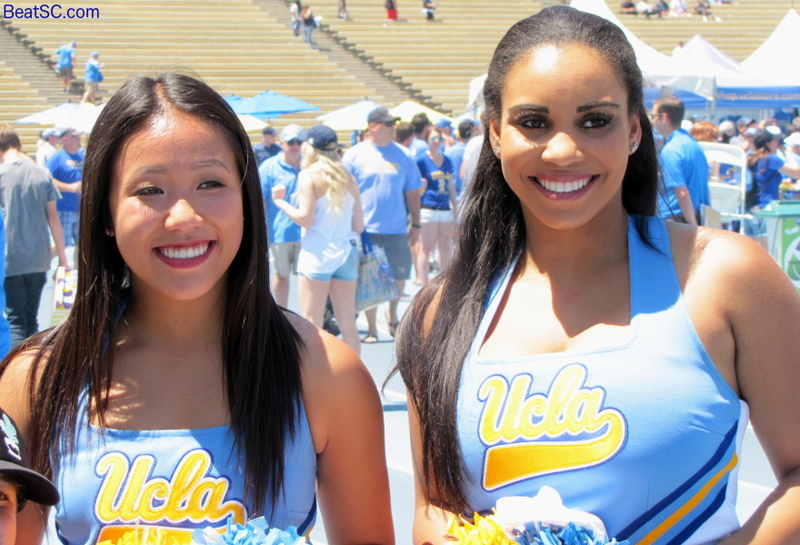 So, since this will be my very last photo-article before the tryouts next Sunday, please savor these shots, and think about what great ambassadors for UCLA these students have been, and how much glory they have brought to our school. I wish them all the best, and I hope that those who try out again make it, but if they don’t, I have total faith that they will survive it emotionally, persevere, and attain the success and happiness in life that they truly deserve. 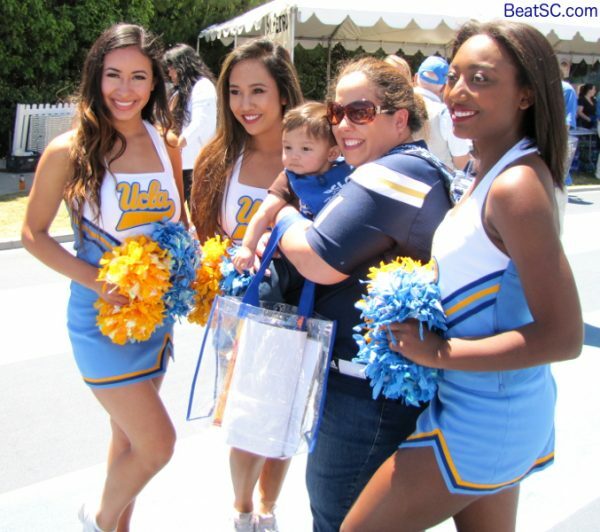 Now, because I like most of my articles to contain at least something about UCLA Sports, I will mention the Bruins who are still alive in the NBA Playoffs, in case you wanted a somewhat vested interest in the outcomes of this postseason: Root for the defending champion Cleveland Cavaliers if you would like to see Kevin Love get consecutive blings; Pull for San Antonio if Kyle Anderson is one of your favorite Bruin heroes; How about the Houston Rockets, who give a lot of playing time to Trevor Ariza? Then of course there is the favorite out of the West, Golden State. 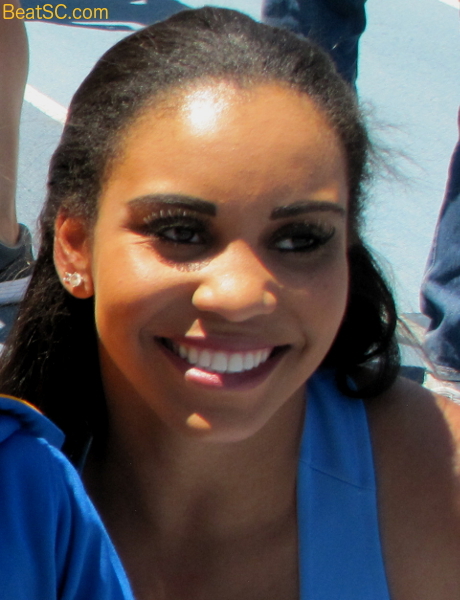 Their General Manager Bob Myers is a former Bruin player, and Kevon Looney is on their roster, along with Matt Barnes. Unfortunately, Barnes has had a few “thug moments” in his career, and has NOT been the best representative of our alma mater over the years. That being said, he has had a long, productive career, and would still add to the list of Bruin NBA Champions if the Warriors earn the trophy. Finally, there is Norman Powell on Toronto. You gotta love Norm, who gave UCLA four solid years of hard work and effort, improving markedly throughout his tenure, and still improving now in the Pro’s. He scored 25 a couple of games ago, including the Sportscenter dunk of the night, to carry the Raptors to a crucial victory. HOWEVER — there is one problem with rooting for Powell right now: The most prolific Raptor is his teammate DeMar DeRozan, who is a trojan. So as much as I’d like Powell to succeed, I can NOT root for a team led by a Condumb. So either DeRozan gets suspended for using steroids, or I just hope that there is an off-season trade that allows me to root wholeheartedly for Norman’s team next season. 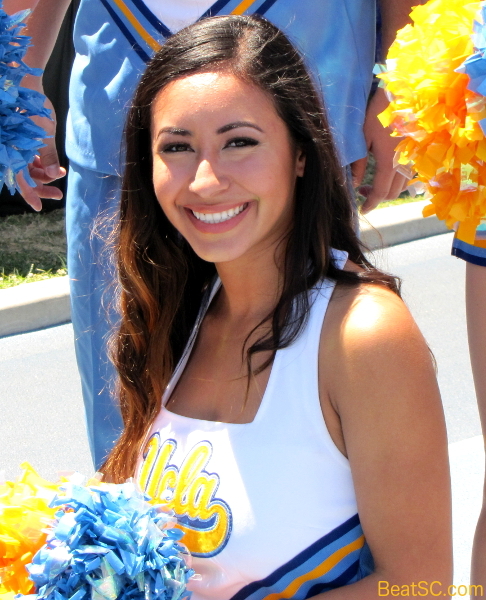 OK. Now I can share these CHEER photos, knowing that this post also contained some info pertinent to UCLA Sports fans, and not just the gratuitous display of gorgeous Bruin coeds! 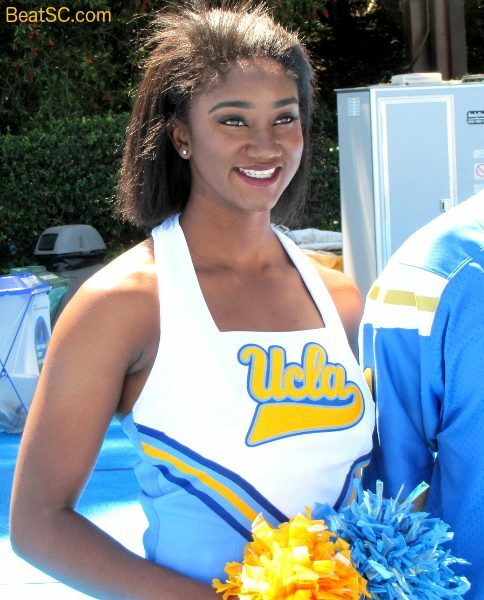 "THE LAST HER-RAH" was published on May 3rd, 2017 and is listed in Blue & Gold News, UCLA/usc/Cheerleader Photos. 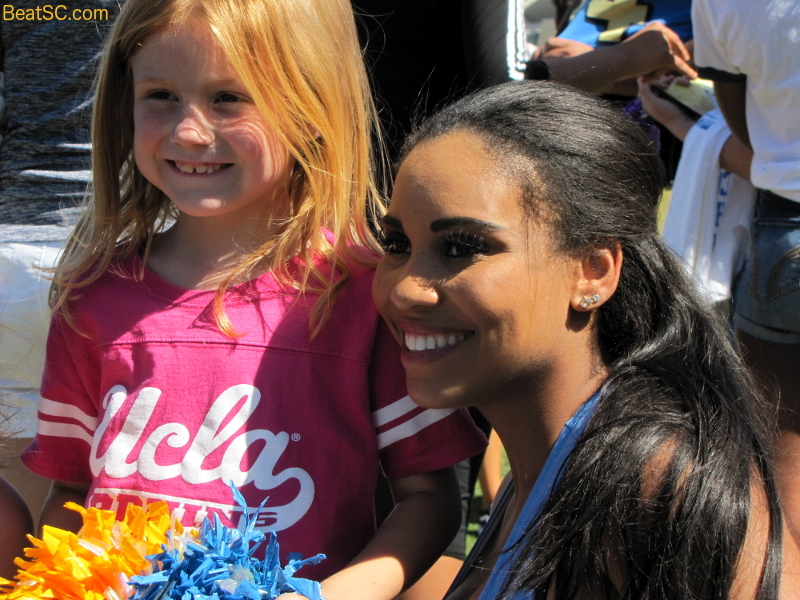 Thank you Spirit Squad for all that you do on behalf of UCLA. 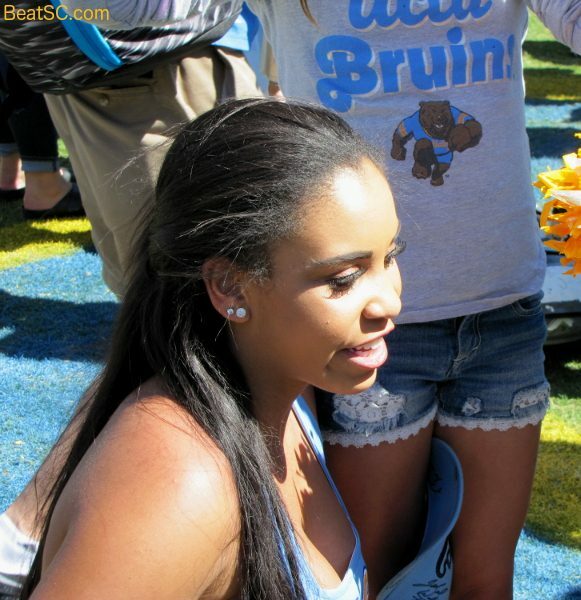 GO BRUINS! An oversight not to have credited these ladies with their names? Are there 5 graduating seniors? 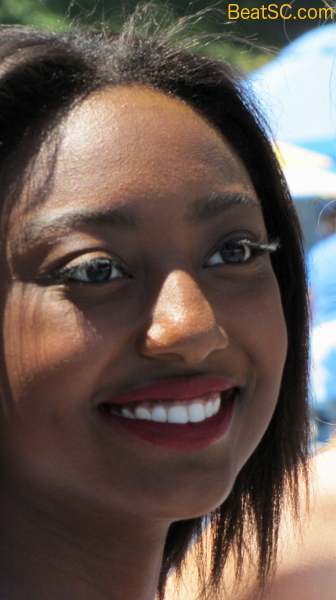 I hope you’re taking pics on the Dance Team audition. It’s always very competitive. Not surprised though considering they are such a vaunted dynasty.